Yemen’s president and Houthi rebels reached an agreement Wednesday under which the militia group would withdraw from government buildings in return for concessions over a draft constitution, sourced told Al Arabiya News Channel. The Houthis vowed to vacate the presidential palace, seized on Tuesday, and to free President Abdrabuh Mansur Hadi’s chief of staff as part of a deal also agreed by other factions, said Saba news agency, which published the text of the document, AFP, quoting the Saba state media, reported. In return, it would now be “possible to amend” a draft constitution stipulating the division of Yemen into six federal regions that the Houthis opposed, the agency said. The agreement also pledges to treat Houthis, known officially as Ansarullah, and other disgruntled factions equally in the allocation of public posts. “Ansarullah and peaceful Southern Movement and all other political factions deprived of equal representation in state institutions will have the right to be appointed in these institutions,” the agreement said. “These measures will be implemented immediately,” it added. Top U.S. diplomat John Kerry said the Sanaa government was accepting many demands put forward by teh Houthis in the deal to end a deadly political crisis, reported AFP. Kerry told reporters it was his understanding that Hadi's government was "going to accept if not all, most of, the objections that the Houthis had," as news of the deal emerged in Sanaa. He also revealed he would head later Wednesday to the White House for talks on the crisis which has rocked the U.S. ally, a key component of Washington's fight against Al-Qaeda. "The Houthis had ... violent objections to the refusal of the Hadi government to accept all of their demands with respect to the peace and partnership agreement and its implementation," Kerry said after talks with EU foreign policy chief Federica Mogherini. That had led to violence and "some of the institutions had broken down, and they're in trouble," Kerry said. He stressed the powerful rebel militia had declared that Hadi was still president, and U.S. officials were waiting to hold another meeting with the beleaguered Yemeni leader. The agreement comes hours after the Gulf Cooperation Council slammed the acts of Houthi rebels as “terrorist” and called on the Shiite group to vacate the presidential palace and release a presidential aide. Also on Wednesday, the U.N. Security Council condemned the attack on the presidential palace. Hadi's government has been a key ally of the United States, allowing Washington to carry out repeated drone attacks on al-Qaeda militants on its territory. The council called for a full ceasefire and a return to dialogue to resolve differences, but there was no threat of sanctions. U.N. special envoy Jamal Benomar was headed to Sanaa from Doha after briefing council members by videolink. Benomar told the council that the Houthi fighters had launched a “massive attack using heavy weapons” on the palace, a diplomat present at the closed meeting said. 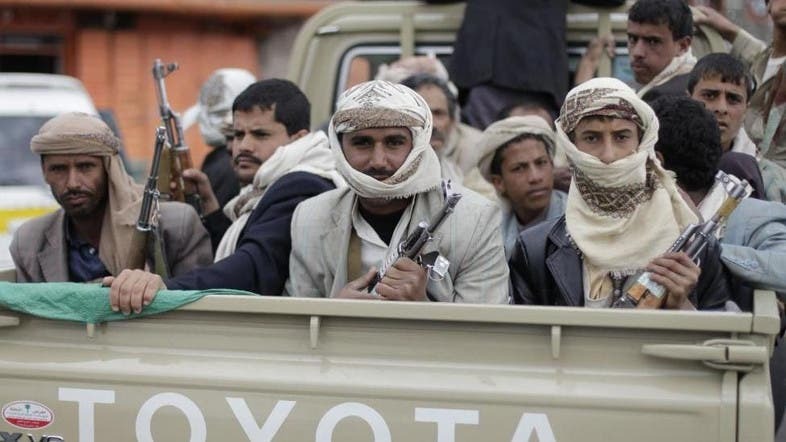 The Moroccan diplomat has been leading negotiations on forming a unity government in Yemen but faces resistance from the Houthis, who have tightened their control over Sanaa since they overran the capital in September. Secretary-General Ban Ki-moon said he was “gravely concerned” and called on armed factions to stop fighting immediately. It also welcomed a draft constitution and said the new power-sharing document should be finalized rapidly in a manner that meets the aspirations of the Yemeni people.